Interior Guards implements small and large-scale residential window tinting for homes located in Maryland, Virginia and Washington DC. Use residential window tinting film to create privacy within your home. You can place decorative window film on a door window or a in a bathroom. 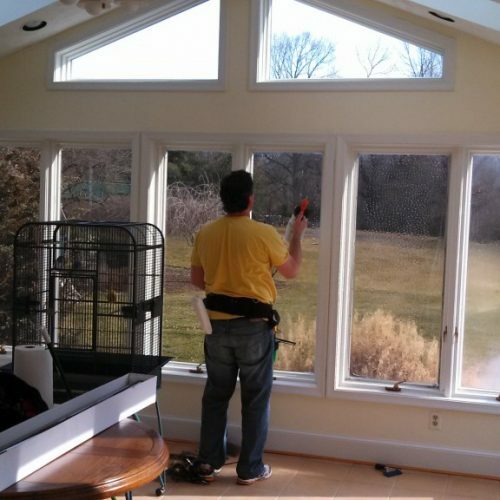 When it comes to insulating your home against heat and cold, a window is the weakest link. In the summer, ordinary glass lets the sun’s heat penetrate your home, forcing your air conditioner to work harder. In the winter, glass panes lose a substantial amount of your home’s heat. UV Protection Tint is a residential window film that reduce glare from the sun but also protect your furniture from being damaged from sun rays. Window security films are specifically designed to increase safety for family and friends. These type of window security films help increase your peace of mind. There are a range of different decorative films you as a home owner can choose from to enhance your living area. Interior Guards window tint products are available in a variety of elegant tints like bronze and gray, and in neutral tones that appear virtually invisible on your windows. They can also come with a scratch resistant coating for those homeowners with children or pets. Please don’t hesitate to call us if you have any questions in regards to residential window tinting.